Looking forward to a trip to the left coast highlighted my October schedule. Going to South San Francisco on a business trip to convince a major Pharma company to include us in their network was the only goal but if I could somehow make some time to include a tasting of the local fare, I would be extremely appreciative. Heading out on an early flight from Norfolk VA, I settled in on the CJ700 to Chicago which connected to San Fran. The first flight was early yet palatable but I really experienced humankind on the second leg to the sanctuary city. Cruising at about 34,000 feet and traveling at almost 500 miles an hour, I was abruptly reminded that you have to appreciate the fact that their are people of all walks of life that have boarded the flight, including those with pajamas, overloaded backpacks that knock you silly as they walk by and have no clue that they clocked you, and those people that feel that a rescue animal somehow includes a squirrel (seriously, see Frontier Airlines). My mission was just to put up with it for 4:45 minutes but, as usual, I had those people that just didn't quite understand how humans are supposed to interact in closed spaces. First, I sat in an exit row where they had 2 seats in my row and 3 on the next row. We were instructed as to the safety procedures for the exit row and all agreed that we understood. Obviously the flight attendant didn't notice that my 6 foot 7 inch back stop had decided that this was his living room and felt that his shoes were way too tight so he had to shelve them for some oxygen and throw those shoeless puppies up next to my living quarters so that I could appreciate how hard he had worked today. OMG, what the hell, bro! You're in public on an airplane with your kickin’ b.o. socks! Damn. Anyway, he went to the men's room maybe 3 times on that almost 5-hour flight...lucky me. Then I had the pleasure of having my seat near the bathroom, where everyone congregated and even had our own gym with several fliers using this space to stretch out. Lunges in the aisle! Swear. Yoga pants and all. The day got better. Getting to my hotel in the Gateway area of San Francisco, I was greeted by a very enthusiastic clerk who checked me in before mentioning that I had a welcome gift. Being a Hilton Honors hotel guest, I didn't think much of it until I saw that it was a real Welcome gift from a colleague at the Pharma company we were here to see. Inside was a one of a kind gift, something I have never seen before and even more special, something I had never consumed before (not daily Visine, honey)...Pliny The Elder, Russian River Brewing Companies Holy Grail of brew with a long history of mystery. Dun dun dun daaaa. Mandy Yeung, my astute connoisseur and aforementioned colleague, had gone out of her way to make sure we got welcome bags, but even more important than her generosity for toffee squares was the gift of Russian River. You see, this is not your everyday beer. This is a pseudo unicorn. Hard to get, peeps! Let me spin you a little yarn....kids, gather round. Sidebar 1- Pliny, marketed with a simple enough looking label and an 8% ABV (ouch), speaks the truth. A Double IPA, it sips with a malty, alcohol infused vibe. According to the brewery, it is best enjoyed FRESH! That is why they make it in such limited supply. Who is this figure in the historical record, you may ask? Let me fill the frontal lobe with more than foam. According to the experts at RR, Pliny, the man, lived in the first century- 23 to 79 A.D. He, and his contemporaries, either created the botanical name or at least wrote about Lupus Salictarius, or hops, currently known as Humulus Lupulus. Pliny the Elder was immortalized by his nephew, Pliny the Younger, who wrote about his uncle succumbing to ash and smoke during the eruption of Mt. Vesuvius in 79 A.D., while rescuing people. Cheers to the scholar, historian, officer, writer, and Roman Naturalist- Pliny the Elder! The Elder, with its notable background, is the reason I added it to my sudsy bucket list. Not readily available anywhere but the west coast and harder to get than........, I appreciated the chance to find the Grail without being part of an Indiana Jones movie. Highly combustible, I felt it warm my face after the first quaff. This grain grenade was more bitter than I had anticipated and wasn't citrusy, more resins and piney and a kind of flat hoppy body. Very light in color, it is more hype than happening. Very happy that I had the chance to try, though. And a very delicious way to start the week! 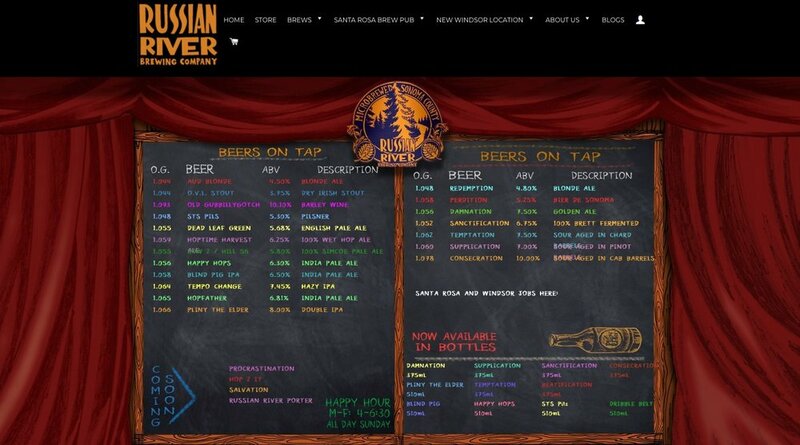 = https://russianriverbrewing.com. Barebottle Brew Company, located in the Bernal Heights neighborhood, is a San Francisco crowd-inspired craft brew house which is very kid, animal and game friendly so it was a very welcoming atmosphere. After incoherently perusing the mash menu, I quickly realized that IPAs were their thing. Most of the offerings were of the Indian Pale variant so I couldn't get my charge card out of my wallet fast enough to start a tab. Wobbly Joystick beat out the other potential suitors as the initial deranger of the day. A 6.5% hazy IPA reminiscent of New England, this brew pays homage to their love of arcade games, mashing buttons and 'cranking the joystick'. Very well balanced and enjoyable. Slight citrus just enough to reel me in, this libation could easily be a steady glass sandwich for Marty on the right coast. Wanting to at least peak behind the curtain, I decided on the flight of Frisco. Amarillo Warfare was the first froth for Francis. This 6.7 hazy head banger is name for its appropriately named hop, yellowish in appearance and citrusy character. Grown alongside Liberty hops, it ‘won the battle of the field and was selected as the base for this libation’, according to BB. Tossing a 6.7 ABV at your noggin, this well-balanced brew was a nice start to the visit. It appropriately lined up a regimen of my brain cells and took them out. Not slowing down, my second slurp was Homeschool Valedictorian as I felt a certain kinship. Neither homeschooled and not knowing how to spell valedictorian, I bellied up anyway as the 6.5 potent potable was described as a West Coast IPA. Usually more hoppy than I can appreciate, I felt it very smooth and appealing to the senses, which had been slightly damaged by now. Possessing citrus enhanced Simcoe, El Dorado, Amarillo and Citra hops, this selection makes 2 wise choices in my quest for a creamy crown. Next up, ‘Any Beans Necessary.’ Huh? Yes, a Golden Coffee Ale. Notes from my cheat sheet from that night reveal that it was lighter in color than I had thought and there was more coffee smell than coffee taste. Although this may be enough for some, this palate is too refined to be let down by the negation of the nose. Although I appreciate a nice coffee infusion in my porters and stouts, this one left me jonesing for more joe. Speaking of Joe, clean up belongs to Joe From Accounting. You might ask what was in it. I'm still savoring it...stone fruit and orange aromas emanate from this 6.8% bombshell. Described as having a 'prickly mouthfeel', I'm still trying to figure it out because if it means good as hell, then I gotcha. Any other interpretation and I gotta pass…A must have when touring the facility, though! Night 2 saw us recovering from a long day of fruitful meetings. 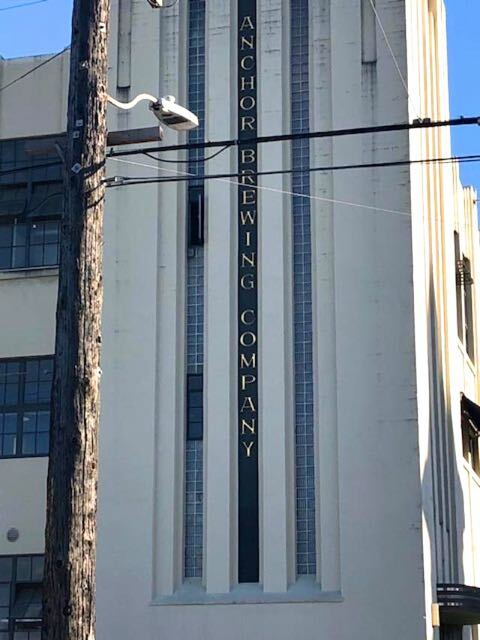 In a celebratory mood and wanting to continue experimenting in SF, we UBER'd to Potrero Hills and hit the Americas first craft and one of its oldest breweries, Anchor Brewing. Still employing a copper brew house, all malt mash and whole cone hops, they have revived an ancient tradition called dry hopping. Sidebar II- FYI, 'dry hopping' is a steeping process of adding bagged, dry hops to some of the ales during the maturation stage of the brewing process to infuse them with rich fragrance and aroma. Utilizing the actual brewery for tours and special events, we headed over to Anchor Public Taps, a gathering place for San Franciscans and our home for the next hour. 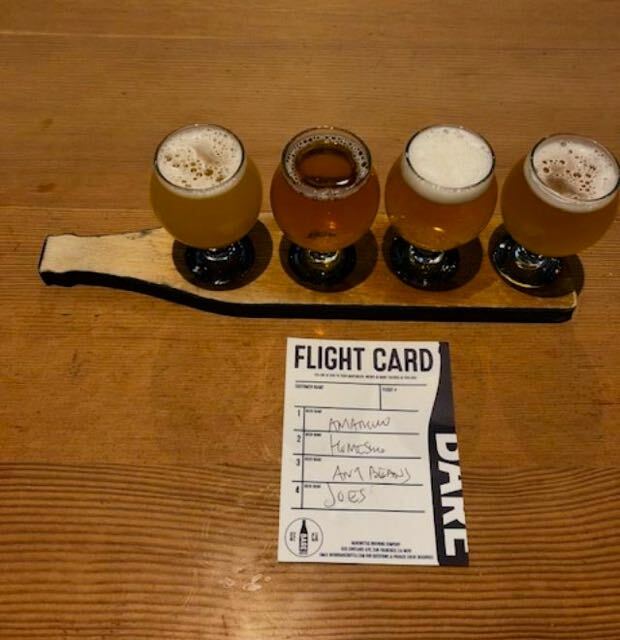 Limited on time but wanting to try them all, I once again used the Flight Card for my sudsy selections. Seeing the board wreaking of many wonderful flavors, I couldn't help but select from their home grown and Potrero Project offerings. Again, I probably could have had Sister Barbara from Norfolk Catholic High School order for me as I have become most obvious in my Golden Years but I did step out of the box slightly stoopid. Batter up, Citra Ale. Relying on my exquisite senses, I threw down the first one without much hesitation. Although in the name, I didn't catch an overwhelming sensation of Citra but more of a piney nuance. At 5.3%, this clean brew possessed a light haziness with a crisp, lacey head. The second concoction in the Brewers Pale Ale series, this easy drinking dank was a good start to my evening. Next up was where I went a little crazy (Sister Barbara never saw this coming)...Remember me telling you about the inventor of the term 'hops' earlier, our good friend Pliny? Well, this concoction is named for his coining of the term Humulus Lupulus for hops. Described by Anchor as, 'a decadent brew bursting with the Lupulus fruits of the hop, it is loaded with citrus, pear, and white wine notes, while also displaying balanced darkness as well as a mild mint and lemongrass presence'. Wow. Lots going on here, so I quaffed immediately. Not sensing any mint or lemongrass, just sayin’. A deep golden color that did produce some fruit flavoring but nothing overwhelming in the category of bud bashing. A tad sweet, would recommend for most anyone. Getting back to the Anchor beers, I sought comfort in the Brewers Pale Ale, an everyday pale ale that's aromatic, crisp, refreshing and flavorful, just like me. A tad hazy like my mornings, it has piney, resinous notes with a hint of sourness??? I also noticed an ever so slight skunk nose reducing the appeal a little. Giving it a 6/10, I'm overlooking this one for the cleanup hitter. The reason I came to Frisco was for the west coast IPAs. Ok, Ron, the business meeting, too. But this Go West IPA was the other reason. Constantly hearing that the other coasters make better IPAs, I took them up on their offer. Go West tossed a creamy, resinous first impression at me and I didn't mind too much. It had a nice golden coloration and was very quaffable if IPA’s are your cup of tea (beer?). After soaking in other Indians from all over the country (Colorado’s New Belgium’s Ranger series, Bells Two Hearted from Michigan and one of my favorites, El Guapo, is brewed in Norfolk, VA), I felt that they had something to teach us but only if you are chromosomally entrusted with those taste genetics. I prefer a more subtle, citrus lite offering to these 'I'm gonna punch you in the face' bombs. That's me. You may enjoy this, and I did, but can only be limited to 4-5 before I've had my fill. Would I go back? Absolutely. Thanks to gracious and well organized hosts for making this a great experience. The biggest highlight of my traveling is trying new malted mashes from backyard breweries. And somehow sneaking the Holy Grail out of Cali. These mug mallets they somehow produce out here really are for beer lovers. Let's me know things will be alright. Alright, alright, alright. When in San Fran, do as the locals do. Support your local brew house. And drink responsibly.